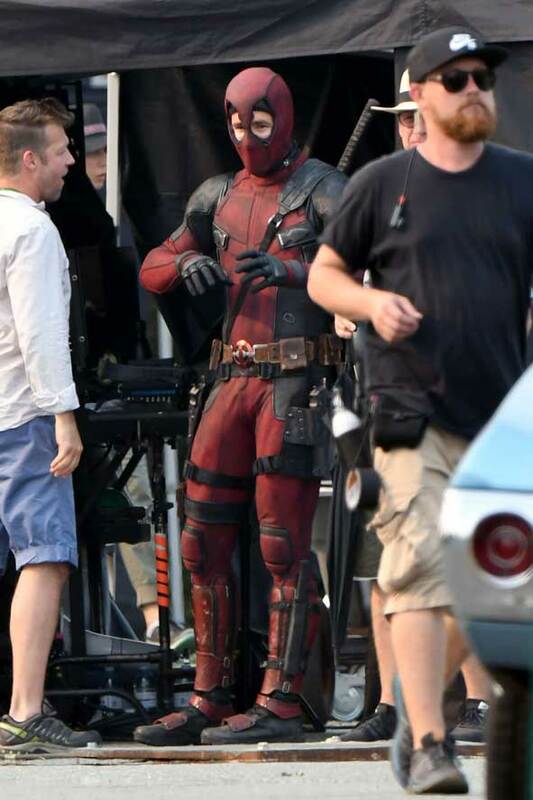 The highly anticipated ‘Deadpool 2’ is being filmed with Zazie Beetz aka Domino making an appearance! 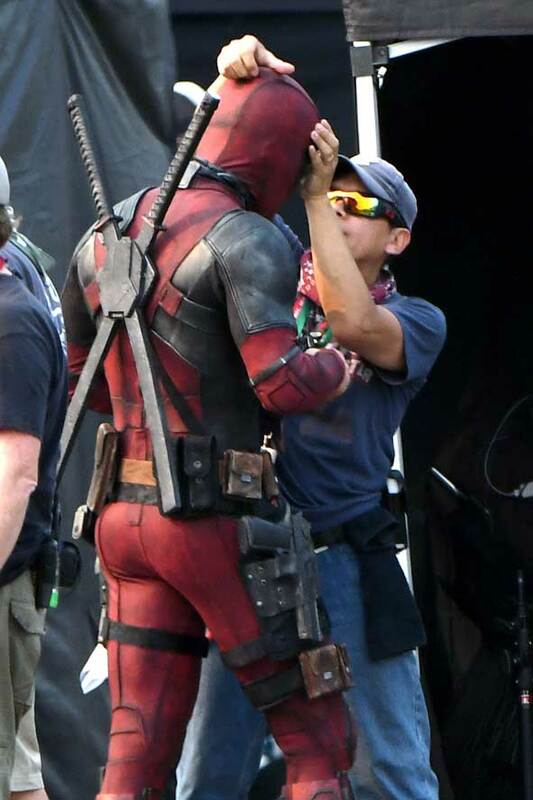 Wade Wilson AKA Ryan Reynolds gave us a quick peek behind the iconic Deadpool mask as they filmed scenes for the highly anticipated sequel. 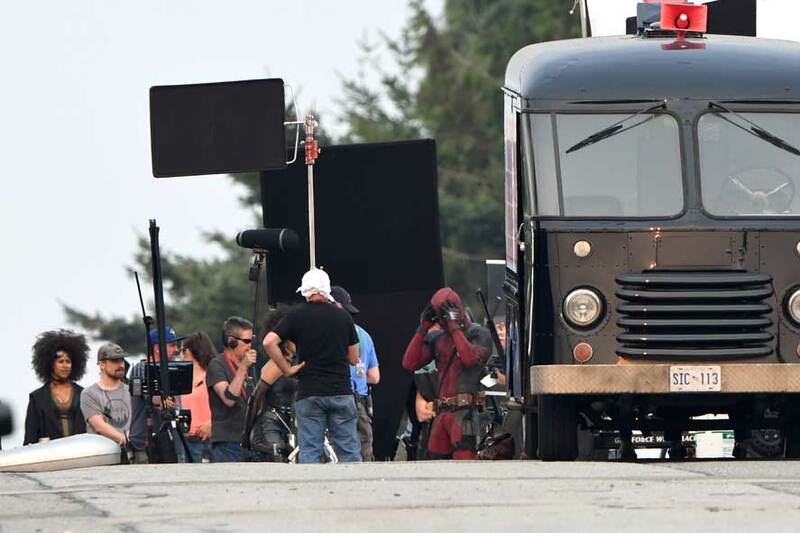 With his sharpened katanas swords and red and black superhero costume, the 40-year-old actor was given a helping hand by an assistant on set in Vancouver, Canada. 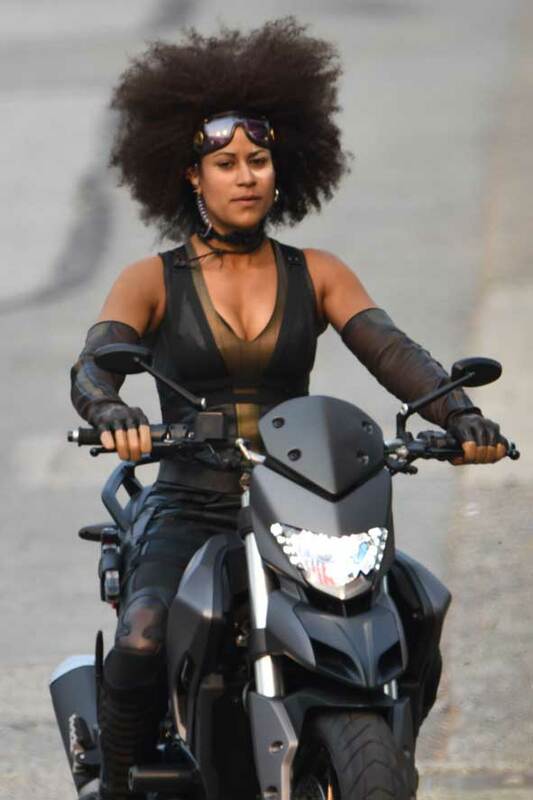 Ryan recently posted on Instagram a picture of Zazie Beetz’s Domino character and the character could be seen on a motorbike. 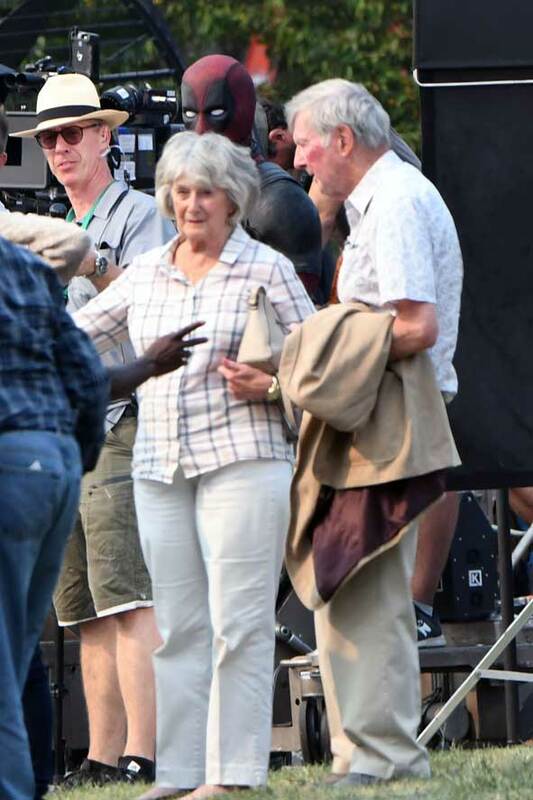 The film is set for release in 2018 after a 5-month long shooting schedule in Vancouver, Canada. 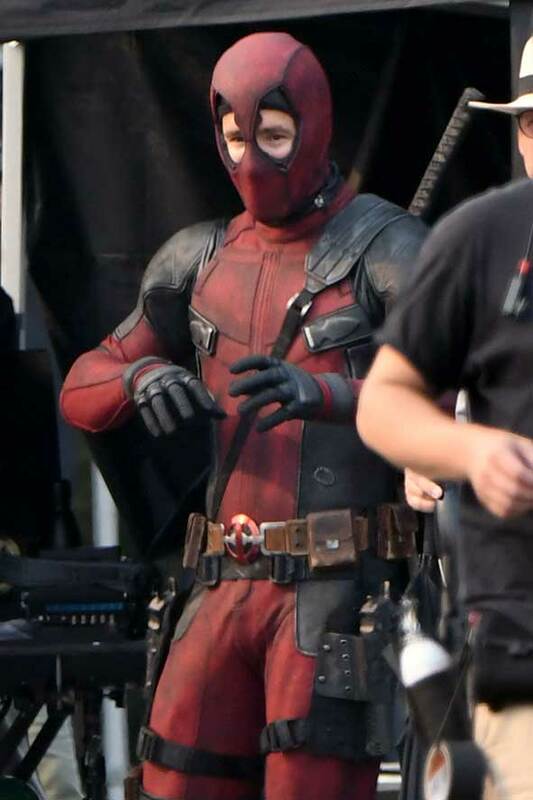 Ryan plays Wade Wilson in the Marvel Comics series. 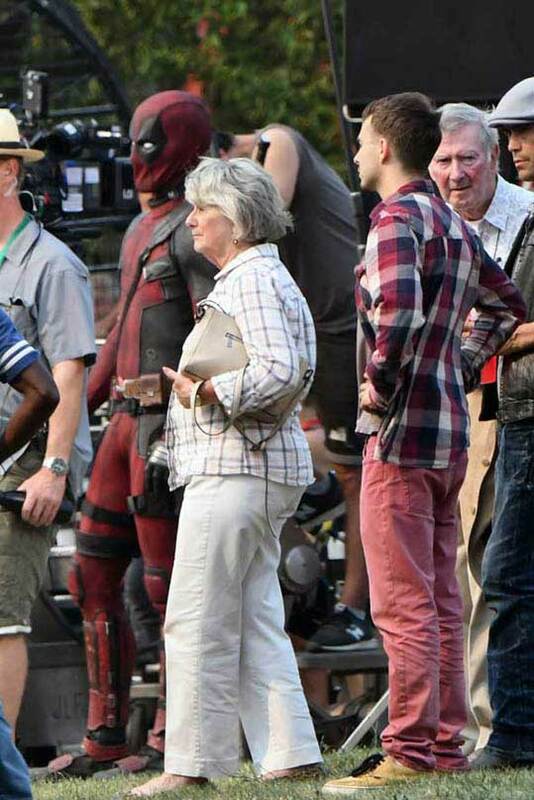 Ryan Reynolds struggled with his Deadpool mask in the humid conditions on set in Vancouver as the area has been dealing with humid conditions from the British Columbia wildfires which has made the city humid and muggy. 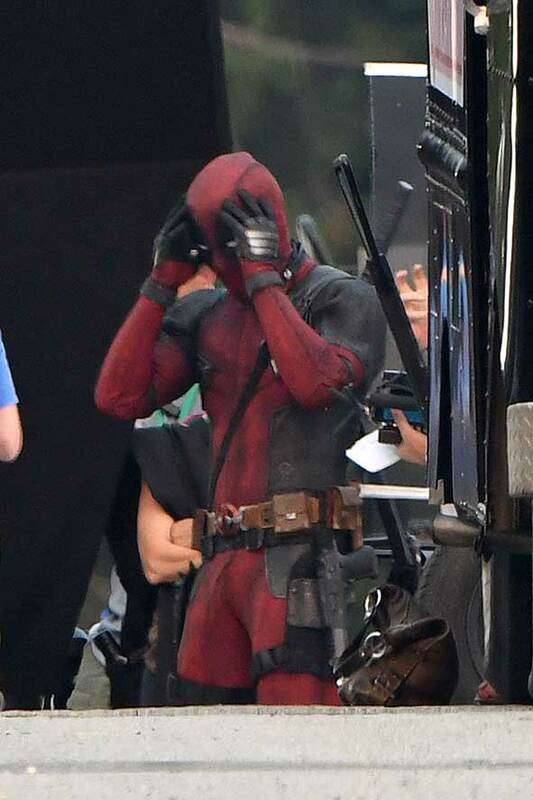 Ryan took off the mask in-between takes as he filmed a scene where he was chatting with co-star on set as her stunt double drove a motorbike away from the scene. 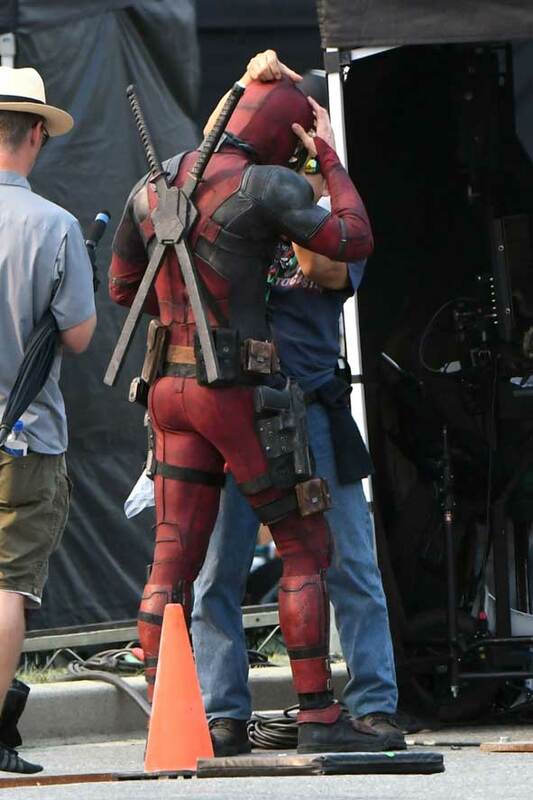 See more pics of Deadpool 2 with Deadpool himself getting stuck on a billboard! 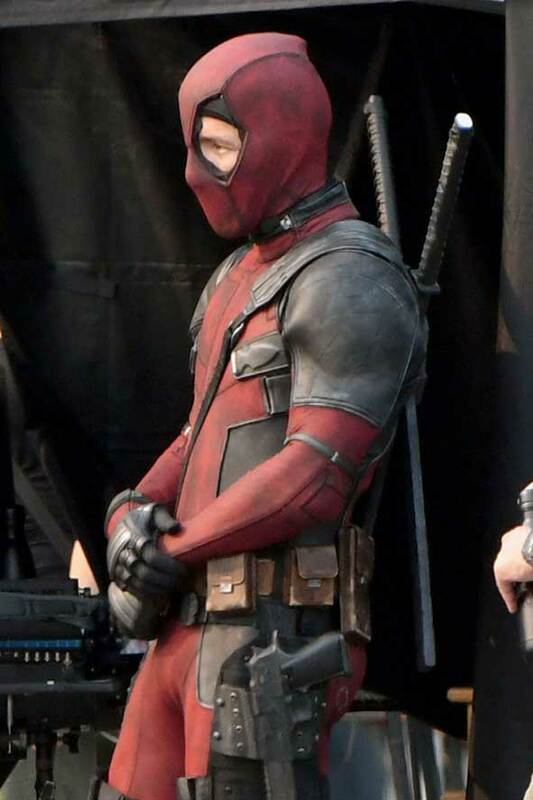 Ryan Reynolds Trivia: Ryan Reynolds has been in four other comic book movies including Wade Wilson in X-Men Origins: Wolverine, Hannibal in Blade: Trinity, DC’s Green Lantern, and R.I.P.D.